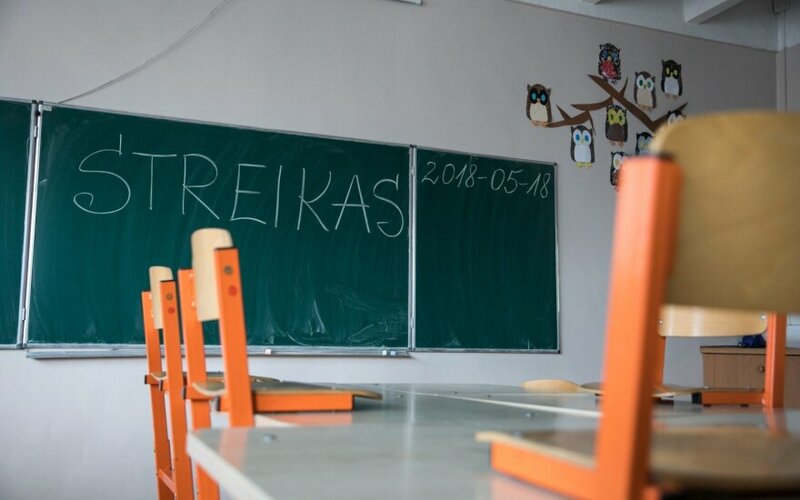 Teachers will start a termless protest against the new pay system on Nov. 12, the Lithuanian Education Employees Trade Union says. The trade union calls this reform absurd and resents its "bulldozer-style" adoption. "What's been introduced is not a tenure pay system, and teachers' hourly pay has been replaced with minute pay as school principals and teachers are now forced to meticulously evaluate every small job of theirs and also plan them for the whole upcoming year, so they are now already calculating minutes, not only hours," Andrius Navickas, the trade union's chairman, says. The trade union demands the cancelation of this "minute-based" pay system and the introduction of a tenure model where a teacher's tenure would constitute no more than 18 contact hours. Also, teachers demand that their salaries' fixed amount rates were increased 20 percent and the number of children in one class was reduced. 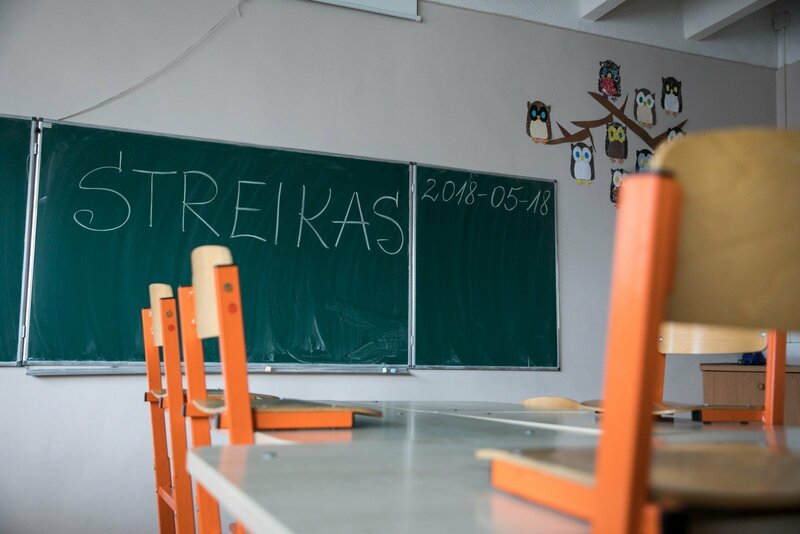 Lithuania has recently introduced a new tenure-based pay system for teachers, replacing the old system when teachers were pay for the number of classes. Based on the new system, a teacher's tenure makes 1,512 hours per year, and this time is divided into tree parts of contacts hours, i.e., classes, preparation for them and communal work. The Education and Science Ministry claims the new system will help to regulate teachers' workload and pay them for all work they done for their school communities. Around 323,600 children will start the new academic year in September, 3,000 fewer than last year.